BYOB/BYOF. Doors open at 6:00 pm. First game starts at 7:15. 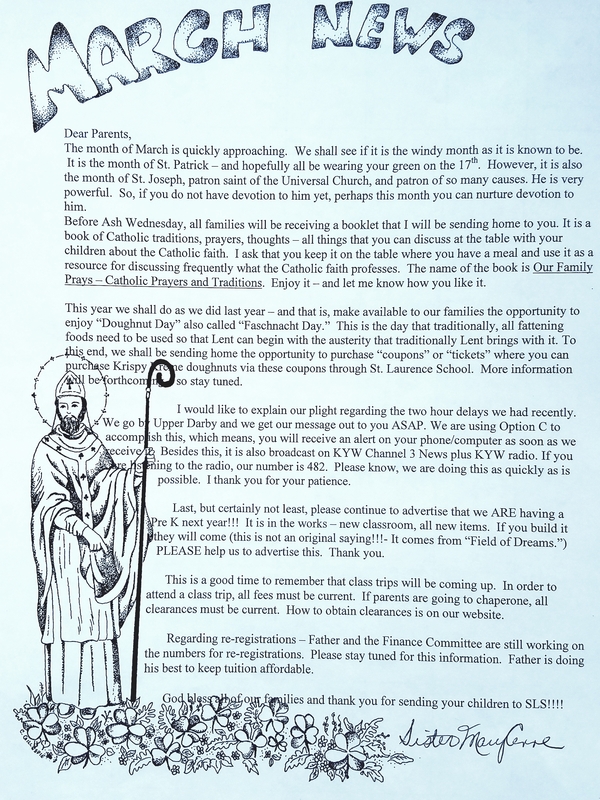 $30 in advance is due March 1st (Payable by check or money order only to St. Laurence Home and School). $35 at the door (payable by cash only). For more info contact Alexais Morgan at saintlaurencehsaatlarge1@gmail.com or (215) 681-0632.